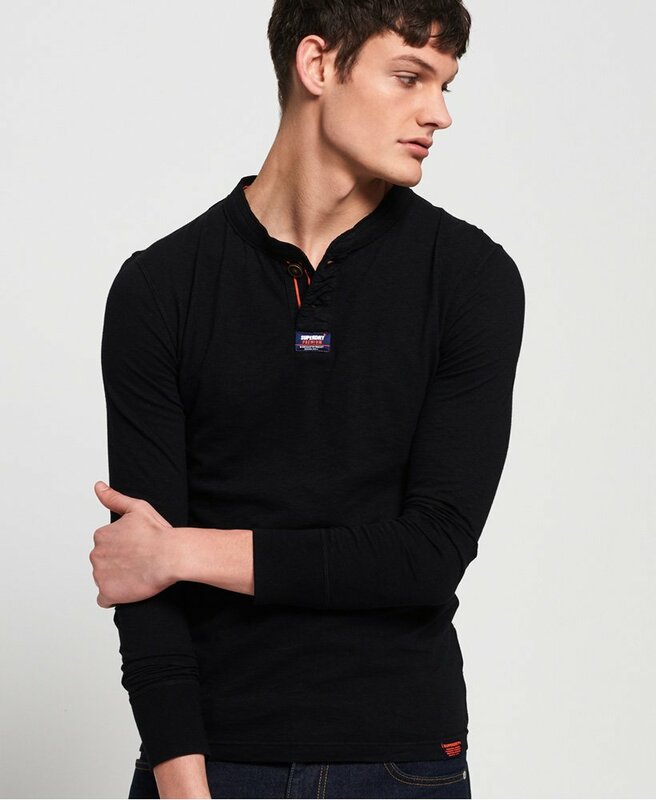 Superdry men's Homestead long sleeve lite grandad top. This grandad top features long sleeves and a two button fastening. Finished with a Superdry logo badge on the chest and a Superdry logo tag on the hem.